Many saw it coming and some even tried to ignore it, but unfortunately, South Africa’s biggest fear has come true – RSA’s sovereign credit rating has been downgraded to junk status. Although this is devastating news for some and radical economic transformation is leaving uncertain and negative footprints for South Africans in the market as well as for foreign investors, it is not all doom and gloom. South Africans are tough and have shown that they are resilient in challenging times. The question one has to ask is what is junk status? Standard and Poor downgraded South Africa’s foreign currency rating to BB+ (sub-investment grade) while local currency debt has been downgraded to BBB- (a bit above junk). Which still gives the country some hope. 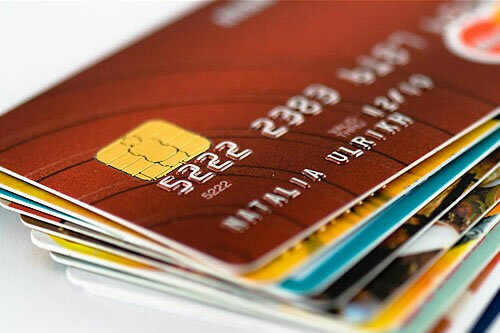 A credit rating can be compared to an individual’s credit score. In the same way, your score influences your ability to get credit, a country’s credit-worthiness gets affected. It also affects foreign investments by giving investors an indication whether they will get their money’s worth or not. But it is still not as bad as it looks. Interest rates may go up and have an impact on all consumers. But interest rates are still low compared to 2008. The Rand/Dollar exchange has already dropped but is now around R13.57 while back in March 2016 it was R16.03. The petrol prices will increase but compared to a few years back (2014), 93 unleaded petrol was R14.16 and 95 unleaded petrol was R14.39. Today it is actually a rand cheaper than it was back then. Imported goods will get more expensive. Financial planning, knowing where your spending leaks are by managing it with a proper budget. Not distancing yourself from your finances, but be involved and ‘in touch’ with it. Staying away from further debt by using cash instead of a credit card. Cultivating a simpler lifestyle (buying only what you need and cutting on the dining out/entertainment for example). Creating room for movement in your finances – you are going to need it. Otherwise, the changes in the economy will eventually catch up with you. Be careful of the Prophets of Doom. It’s not the end for South Africans. Stay positive, get proactive, cut out expenses where you can and know that there will be better days ahead.